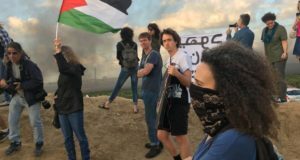 Spokesmen for Britain’s Attorney-General Peter Goldsmith have downplayed suggestions that the UK would seek compensation from the Israeli government in the deaths of two British civilians killed by IDF gunfire in the Gaza Strip, telling The Jerusalem Post the claims were premature. 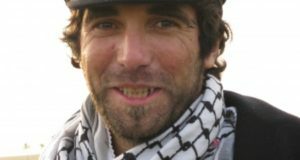 Goldsmith met last week with Foreign Minister Tzipi Livni and Justice Minister Haim Ramon, seeking details of the April 2003 shootings of International Solidarity Movement activist Tom Hurndall and filmmaker James Miller in Rafah. At this stage of the proceedings, Goldsmith is gathering evidence “to make the legal considerations to see what options are open” and has “written back to the coroner in both cases in the UK to ask for access to the evidence that was put before the inquest,” his spokesman stated. An Israeli military court found Hurndall’s killer guilty of manslaughter and sentenced him to eight years’ imprisonment last year. An April 14, 2005 disciplinary hearing led by Brig.-Gen. Guy Tsur of the Southern Command ruled the shooting in which Miller was killed justified. Hurndall’s father, Anthony, has demanded Goldsmith extradite officers of the Southern Command to Britain to answer charges of war crimes under the Geneva Convention, saying the sergeant in the Beduin Desert Reconnaissance Battalion imprisoned for the crime was a “scapegoat” for those higher up the chain of command. The family of Miller has also pressed Goldsmith to take action on the coroner’s verdict, meeting with him on May 5 to plead their case. 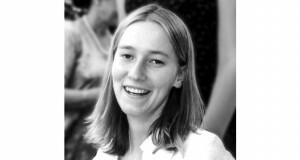 Britain’s Foreign Secretary Margaret Beckett met with Miller’s family on May 11, telling them she would ask Livni to hold a commission of inquiry to look into a possible perversion of the course of justice in his case. On Friday, Britain’s minister for the Middle East, Kim Howells, stated Goldsmith had raised the case of jailed British NGO worker Ayaz Ali in his meetings with Ramon and Livni.